Garden Photo of the Day: O Happy Day! A Gardener's Diary is back! This is a great day! I just watched an episode of A Gardener's Diary, one of HGTV's original shows that launched with the channel in 1995. The show was about a beautiful garden around an ancient mill on a river in Bucks County, Pennsylvania. There are some great ideas for landscaping in this episode and some great plants to consider. Kathryn MacDougald, Mimi Fuller Foster and I started A Gardener's Diary, and it ran for 11 years on Home & Garden Television (HGTV). We went all over the U.S. and even to Canada to tape episodes. Our idea was, instead of giving you a quick six-minute tour of a garden as was the case on Victory Garden (at the time we launched one of only a few garden shows on television), we'd take you to a garden for an entire episode. That way, you'd get to know the gardener, see a lot more plants and have an in-depth look at a private garden you'd otherwise not get to see. We shot the first episode in June 1994. The channel came on the air on December 31, 1994, and our show debuted the next day. At the time, there wasn't a lot of programming, and the episodes would run several times a day and into the night. We've never had an official count, but we ended up making well over 225 episodes. In late 2006, we were set to do two more years of 26 episodes per year. I had already scouted some gardens, and we were all set to go. Then, a terse e-mail from our editor at HGTV. There will be no more episodes of A Gardener's Diary. "Tomorrow is my last day," he wrote. No further explanation. A new president had just arrived at the channel, and I'm guessing that because it was the height of the housing boom, they wanted to make more shows about flipping houses and couples deciding on which house to buy in a hot market. The garden shows that survived were about quick makeovers, with a team coming in and sprucing up a lot. Our show was basically a comprehensive tour of an already established garden. We had a lot of followers who were disappointed when it was canceled. People who desperately missed the show asked to buy video sets. Some of the old episodes were shown for a while, but then it was taken off the air. But, we're back, this time on Hulu.com. Erica Glasener, the host of A Gardener's Diary, sent me an e-mail with a link to our show. I don't know enough about technology, and I don't know how many of our shows they'll stream, but this is an exciting day. A Gardener's Diary is back! Pictured above is a path in Louise Poer's garden which was featured on an episode of A Gardener's Diary. This was always my favorite show on HGTV and I was one of the ones begging for reruns, boxed sets, etc. I have quite a few of the episodes on VCR tapes, now sadly obsolete. It is not surprising that your blog is one of my favorite garden blogs! I love your blog but had difficulty reading the multicolor print. Allan, I am not sure what the "multicolor print" is. This is so embarrassing. I'm looking around to see if I can tell what this is. Is it the lighter green? I'm going to e-mail my daughter who fixed this up for me if she knows what to do. I sure appreciate your letting me know, so I can try to get it fixed. Thank you! I'll be watching. They should take the G out of HGTV. I passed some beautiful moss yesterday, which reminded me of the episode of A Gardener's Diary that featured a moss garden. I guess that's why I checked again tonight to see if it was being shown online. I found the episodes on Hulu, one of them is the one with the moss garden. I hope they are all on Hulu, eventually. I love this show. I also would love to purchase a box set. I hope HGTV will bring back these garden shows now that the housing market is in the tank. Maybe they need a new president. Your plants looks mediterrenian and the grass all look so tamed. I also love how you make your pathway filled with smooth stones. Thank you for sharing this one. It must have been hard to create a pathway like that. I'll hire some construction guy who know architecture just to make something like this. Forgive me for writing so much, but I'm excited. I found your blog by way of Pinterest and I'm SO GLAD I did! Though late to the joy that was "A Gardener's Diary," my mom and I would set the VCR and watch the episodes over and over. When I read that the program would not continue to air, I actually wrote to (well, e-mailed) HGTV to ask that they reconsider. It didn't work. Obviously, haha. But I always had those dozen or so episodes on tape. I just didn't have a VCR to play them anymore— such is the flow of technology. However, now I'm thrilled that I can watch them online! I told my mom and we became giddy. I am also hoping that they will upload every episode. All 225 of them! I think "A Gardener's Diary" was a great program because of the feeling it always evoked in me. I thought, "There are people who are passionate about ornamental plants just like me," while at the same time feeling relaxed and refreshed like I'd just been on a vacation. The show was also inspiring beyond words. I continue to think about some of those gardeners and wonder how they are, what they're doing, and how might have their gardens have changed since filmed. I look forward to exploring your blog, I'll add it to my Google Reader. 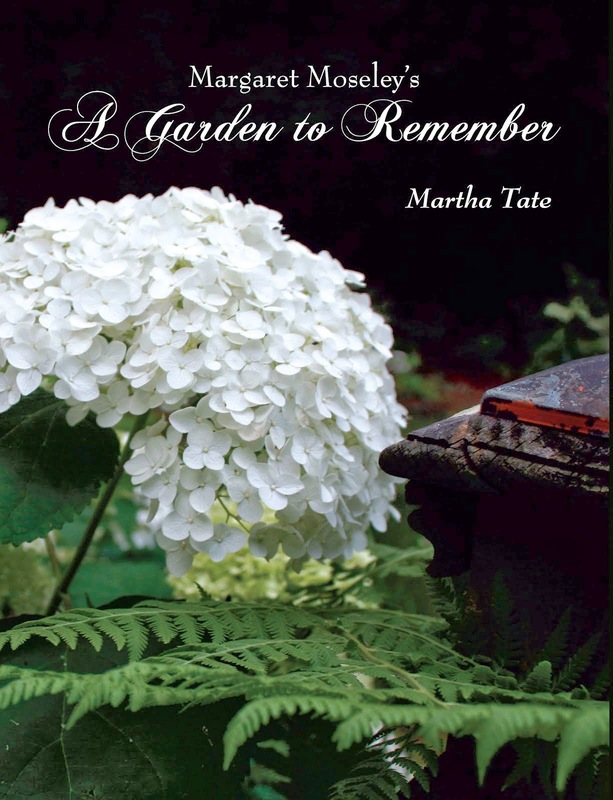 :) And I'll work hard this year to garden, maybe someday creating something worthy of "A Garden's Diary." Side note: Allan's multi-color print comment a couple months ago may have been referring to either the white text on green or perhaps the font itself. For some, light text on a dark background can be tiring for the eyes to read. The font here is a little tricky for me to read because when a font has anti-aliasing, it can look blurry. A smaller/older monitor or customized browser settings can make some sites illegible as well. I hope that helps. Ultimately, the content (here, your words and the images) is more important because RSS feed readers like Google Reader will present the text without the font, if that makes sense. Again, sorry for writing so much. I'm going to have to start my own blog! Brian, Thank you so much. I appreciate the kind words about A Gardener's Diary so much. Kathryn and I lament constantly that there is no demand for this kind of programming. When my daughter comes home in the summer, I'll get her to see about the white text and font. I know so little that I have no idea how to fix it. She is graduating from law school in May and moving at the end of June. I think she's pretty overwhelmed right now. But, I do need to make this where it can be read easily. I greatly enjoyed your comments and just now figured out how to answer. I had gone through tons of posts to find it, and then I just landed on something that told me immediately where this was. A Gardener's Diary was my favorite show on HGTV also. I was so disappointed when it was taken off the air. I also have some recorded episodes that I watch over and over. Did I read an old post that the show will again be aired on HGTV on Fridays at 7:00? I think the quality of programming on HGTV has sunk to a level that isn't worth watching any more. I hope that Gardener's Diary is brought back! Absolutely loved this show and I was extremely disappointed when it was removed from the HGTV line up. I am unable to retrieve any of the "A Gardener's Diary" videos from Hulu. Disappointed!